Rhythm. Meter. Form. Accent. Art. Musicians often hear the advice that they should let their instruments sing. Singers cannot practise their art without words. And often a poet's text is incomplete without the sound of human utterance. During 2018 Poetry Ireland and ITMA are joining forces to explore the space where poetry and music meet. 'Soul Clap its Hands and Sing': season lineup. The overlaps are unmistakable: sound and rhythm combined in the expression and exploration of emotion. It's a combination of art forms that can't be overlooked in Irish traditions. From the bards who travelled early Ireland's roads setting words to harp accompaniments to collaborations that attempt to move the listener beyond words into pure melody, poetry and music are in near constant dialogue. For one example, check out The Poet & The Piper (Claddagh Records, 2003) performed by Seamus Heaney and Liam O'Flynn. Words and music heighten and extend the meaning of each. And Ciaran Carson's Last Night's Fun (Jonathan Cape, 1996) is a book described as taking the 'shape of a night's music … [an] evocation of music of a ruthlessly unsentimental kind, but also polemic, autobiography and poetry.' Carson wasn't the first poet to take inspiration from sonic experience. Irish poets W. B. Yeats, Francis Ledwidge, Thomas Kinsella, Seamus Heaney—to name just a few—have all contemplated music through the lens of words. 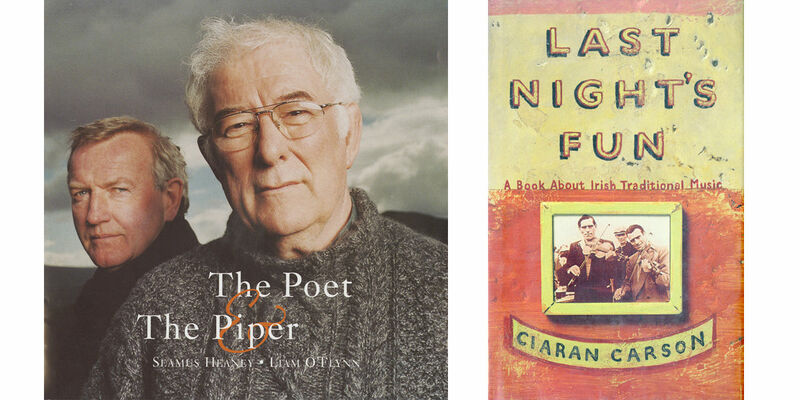 'The Poet and the Piper' & 'Last Night's Fun' are available in the library at ITMA. 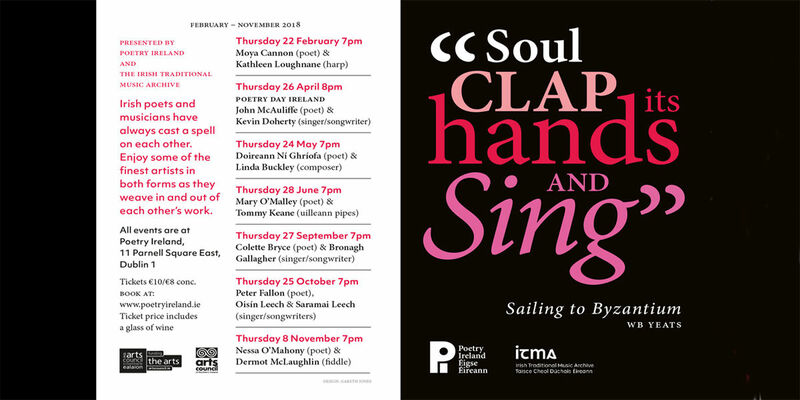 It's this relationship that inspired Poetry Ireland and ITMA's 'Soul Clap It's Hands and Sing' performance series. All events will take place in Poetry Ireland, located on Parnell Square, just across from the entrance to the Gardens of Remembrance. Our first event takes place this Thursday, February 22 at 8pm. It will feature poet Moya Cannon in partnership with harper Kathleen Loughnane. For tickets click here. 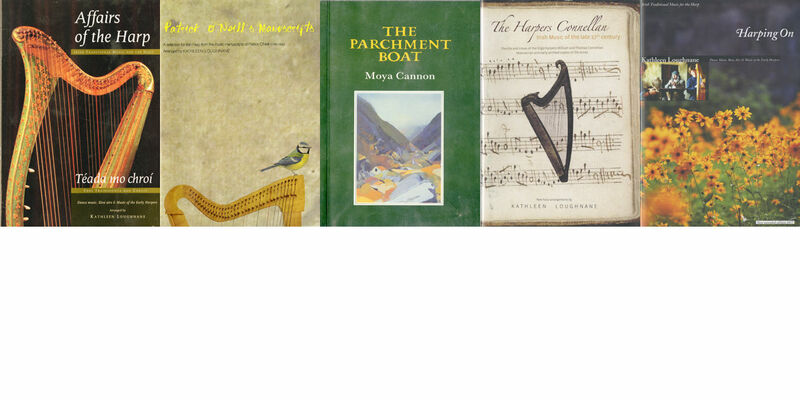 Moya Cannon is a Donegal-born poet whose work reflects 'preoccupations with landscape and seascape, with archaeology, with music, with language itself and with our visceral attachment to the beauty of the earth' (read more about Moya here). She has published five collections of poetry, worked as editor of the Poetry Ireland Review, and is a member of Aosdána. 'Between the Jigs and the Reels,' programme. The jointure and jig performed by Kathleen Loughnane & Caitríona Cannon. You can also explore the words and music of Moya and Kathleen by visiting us at ITMA. Follow the links below to start exploring our collection! 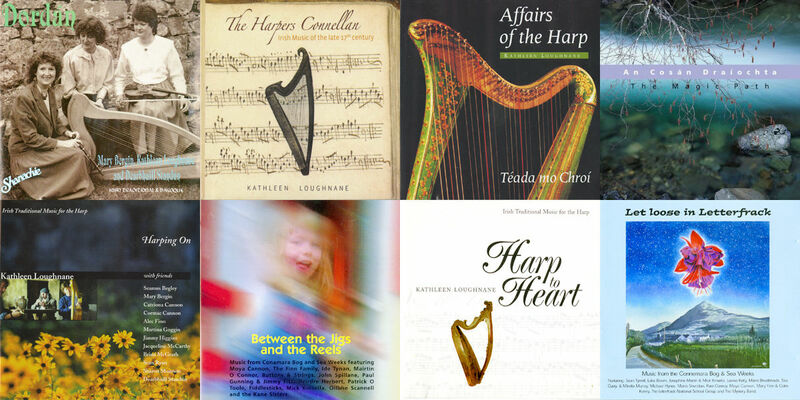 These CDs (above) and books (below), featuring Moya Cannon & Kathleen Loughnane, are available in the library at ITMA.